Bethany House Publishers, 9780764203909, 396pp. 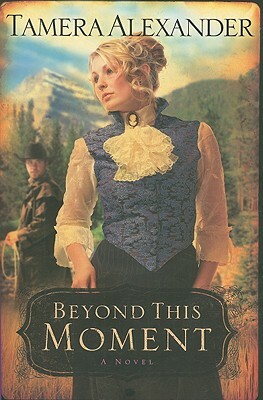 Dismissed from the university where she served as Professor of Romantic Languages, Dr. Molly Whitcomb travels west to start over in the secluded mountain town of Timber Ridge, Colorado, where she'll be teaching children. Her train stops in Denver, and on a whim, Molly purchases a wedding band--an attempt to cover a mistake, but also a chance at a fresh start. Sheriff James McPherson was eager to hire a schoolteacher, but Dr. Molly Whitcomb isn't what he expected. His instincts about people--which rarely miss the mark--tell him she's hiding something. And when Molly's secret is revealed, her reinvented life begins to unravel. What's more, she risks losing her newfound relationship with the sheriff and her renewed faith in God. Tamera Alexander is a bestselling novelist whose deeply drawn characters, thought-provoking plots, and poignant prose resonate with readers. Having lived in Colorado for seventeen years, she and her husband now make their home in Franklin, Tennessee, where they enjoy life with their two college-age children and a silky terrier named Jack. Learn more at www.tameraalexander.com.